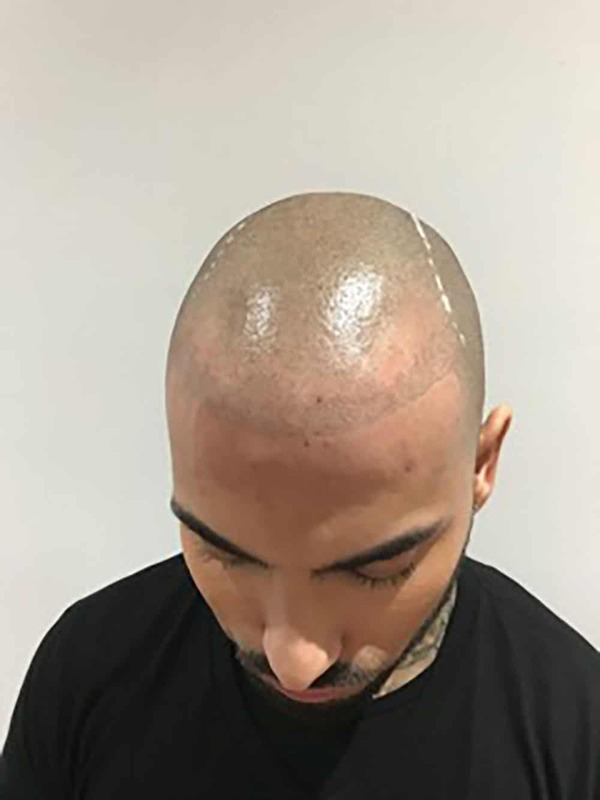 Scalp micro-pigmentation (SMP) is a permanent cosmetic procedure that mimics the short hairs of a closely shaved scalp. 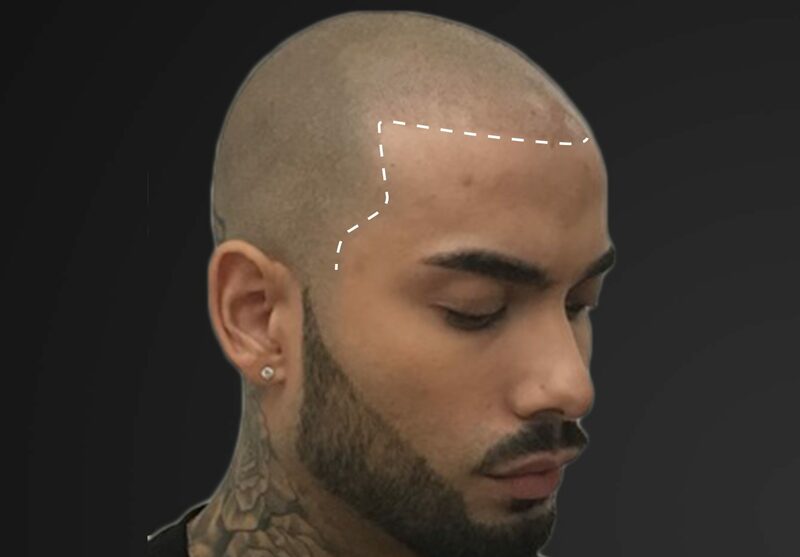 Scalp micro-pigmentation (SMP) is a permanent cosmetic procedure that mimics the short hairs of a closely shaved scalp. SMP offers a new treatment option to patients willing to keep their hair very short or cut their hair to scalp level. 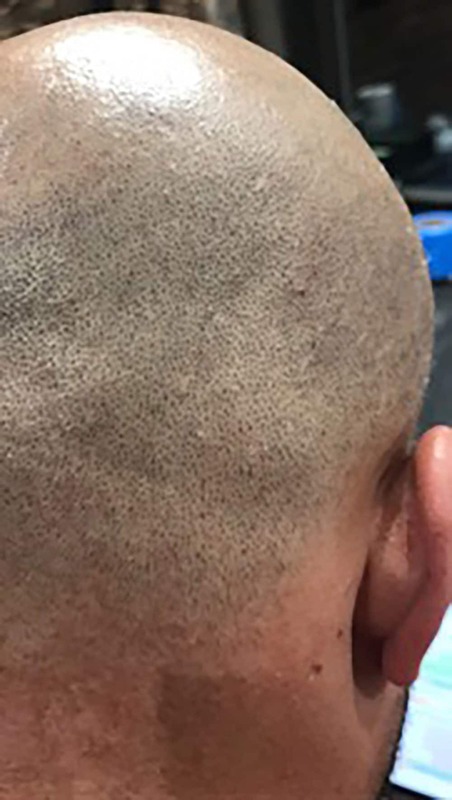 SMP also offers excellent camouflage with short hairstyles for patients who have old plugs, have had scalp reductions or have scars from their hair transplant surgeries that are disfiguring or not amenable to the individuals styling needs. 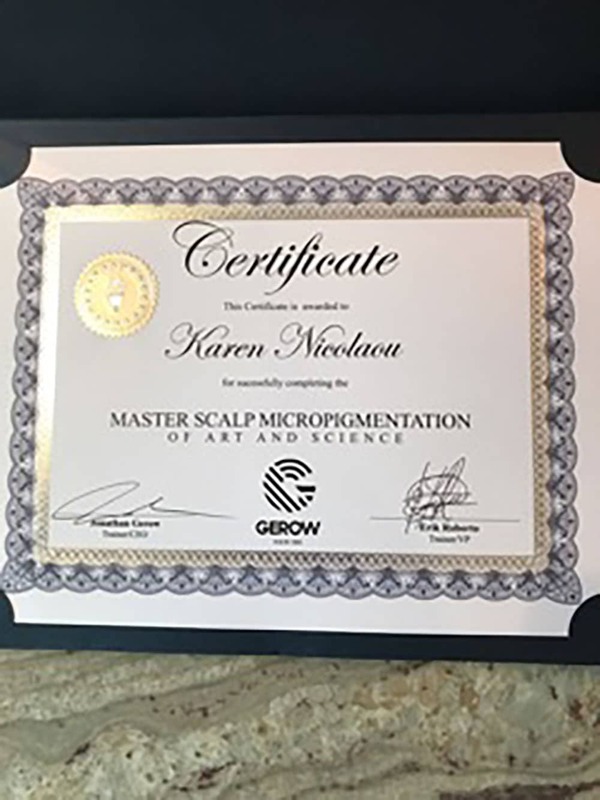 Karen Nicolaou (our technician) has trained with the world renowned Jonathan Gerow in New York City so let her use her skill to transform you. SMP is a very realistic solution to patches of thinning hair, baldness or alopecia, whether it be full head or partial. 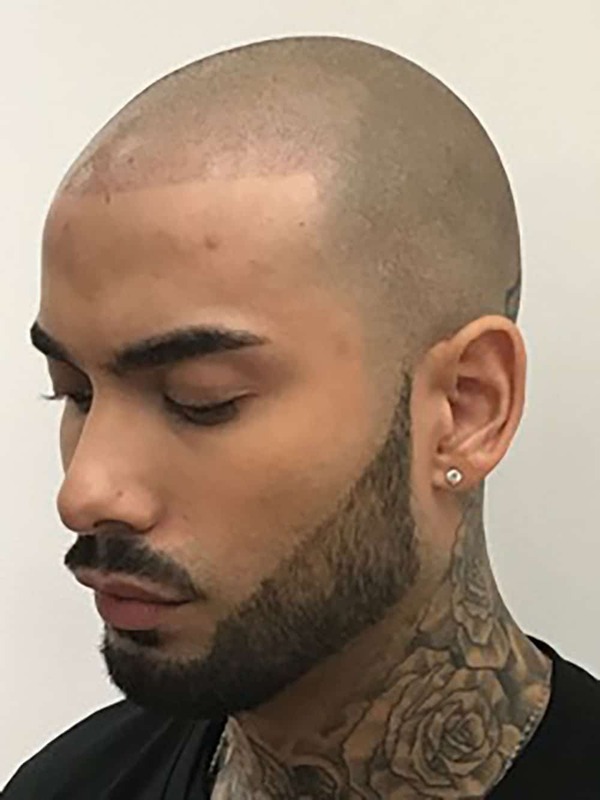 Scalp micro-pigmentation is NOT surgery. 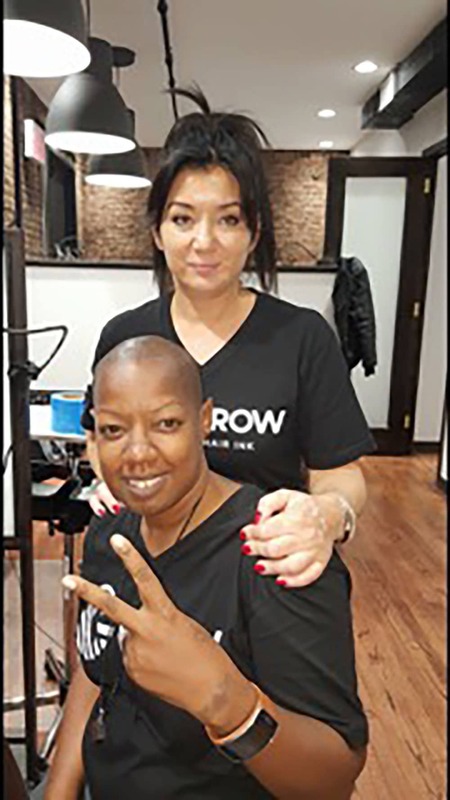 it is a less invasive treatment whereby tiny ink impressions that mimic real hair follicle is placed under the skin and gives that effect of a number 1 shaved head. It is so realistic, many people do not know you have had the treatment if you haven’t told them!! It is very or little maintenance and can last up to 5 years before a retouch is required. The ink inserted is diluted according to the natural skin tone and original colouring of the patient and therefore any skin tone can benefit.